This is the second in a series of one minute videos that address the many complex challenges facing marketing, media and advertising today. The Golden Minute series is an attempt to prove Albert Einstein right when he said “The definition of genius is taking the complex and making it simple”. I blame Google for this. After all everyone in marketing and media seems to be blaming Google, so I am getting on the bandwagon too. But not for the reason you think. It is the whole search algorithm. It is just that we have spent more than 17 years perfecting the calculations of agency fees or agency remuneration from the multitude of outputs from a scope of work. But our clients in the USA will be searching for agency compensation, not agency remuneration. In fact in the UK they will be searching for agency remuneration and in Japan it is compensation. There are two types of people in marketing procurement, those that talk about agency compensation and those who refer to it as agency remuneration. So why the difference? Those that speak the Queen’s English say remuneration (that is with the m before the n) and those from the USA say compensation. In actual fact the two words do have different definitions, which you can read here. 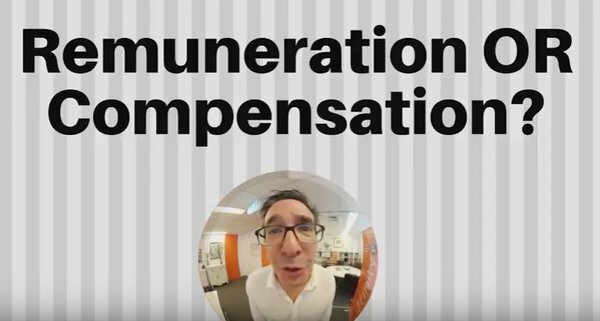 Is there a difference between remuneration and compensation? Realistically, no matter if you call it agency compensation or agency remuneration or agency fees there is no difference, unless you are Google. So please remember when you search the topic it is worth checking both remuneration and compensation, otherwise you may only be getting half the picture. As for being synonyms, I am not as convinced. The definition of compensating is to make good for damage or loss. It makes the payment for the agency the compensation of the cost of the resources expended to deliver the work or provide the service. It is a simple transaction of payment for service. I know many people think that this is the extent of the agency fee arrangement. It is a simple transaction payment for the ‘work’. The definition of remuneration is to reward for effort and output. Yes it means payment for service, as does compensation, but it is the concept of rewarding the agency for their efforts and outputs and not simply compensating them. I have always believed that in the case of the relationship between the advertisers and the agency there is more to the fee than a simple transaction for services. Especially as many marketers and advertisers consider the relationship to be one of co-creation, being more like a partnership in the process, rather then a simple buyer and supplier relationship of purchasing services or outputs. Is there more to remuneration than simply payment? Beyond agreeing a “fair” price for the compensation, remuneration raises the possibility of the fee being more than simply a payment for services, but a way to encourage positive behaviour and performance. Incentives can be used to reward performance, services delivery and value. 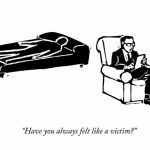 Can you compensate for performance? Or is it a matter of penalising the agency for under performance? The latest ANA Agency Compensation Survey shows that Value Based Models are on the increase. But it is strange to think of value being a way of making good for damage or loss. Value is more aligned to rewarding for the creation and delivery of value. We have been developing and implementing performance and value based models for the past ten years. The advantage of this approach to remuneration is that beyond simply compensating the agency for their costs, it aligns expectation of the advertiser and the agency and rewards and encourages the agency and some even share in the profit generated. 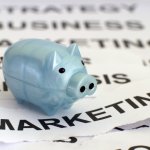 While it may not make a difference weather you call it agency compensation or agency remuneration or even agency fees, there are opportunities for all marketers and their procurement teams to consider. How can your agency payment method work harder for you, not just in the price you pay, but more importantly in the value and performance you get? Do you remunerate? Or do you compensate your agencies? The dictionary says to remunerate is to reward for effort or output. While to compensate is to make good for damage or loss. So do you reward or make good for damages? “They are synonyms of each other”. The words you use convey a meaning. What does your compensation model say to your agencies? Perhaps it is time to try a value based remuneration model. It’s the first step to making good with your agencies. Read more on ways we can help you manage your scope of work and associated agency remuneration or help you develop a value based or performance based agency remuneration model.